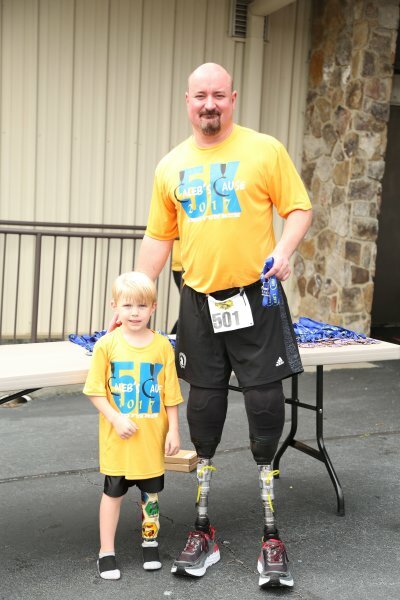 The mission of Caleb's Cause, Inc. is to bring support, assistance, and encouragement to local amputees and wounded veterans! 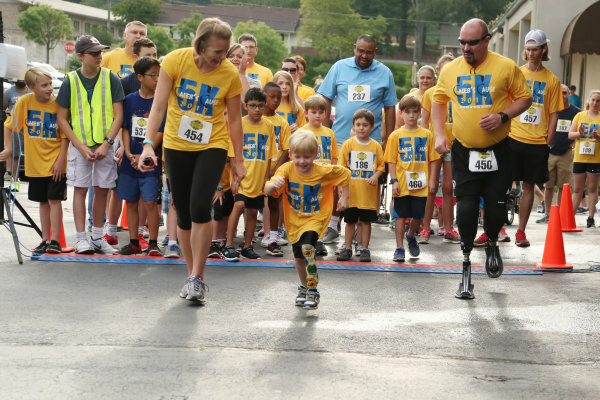 Whether you're young, old, a runner, or a walker, anyone can be a part of Caleb's Cause. Participants under the age of 18 must have a parent or guardian sign a waiver before participating. We have something for everyone, including the little ones. After the race, kids can enjoy playing on inflatable slides and bounce houses. This year's Caleb Cause will have LIVE music performed by the classic rock cover band Flow Motion. Come for the race, stay to enjoy the music! Things are even better when you're part of a team! You can register to run as a team. All members of the team will get 10% off their registration through active.com. Everyone will still receive their own t-shirt, and be eligible for individual rewards. Interview with WALB News 10 in Albany, GA to promote the 2016 Caleb's Cause 5K & Fun Run. Promotional video for the 2016 Caleb's Cause 5K & Fun Run. 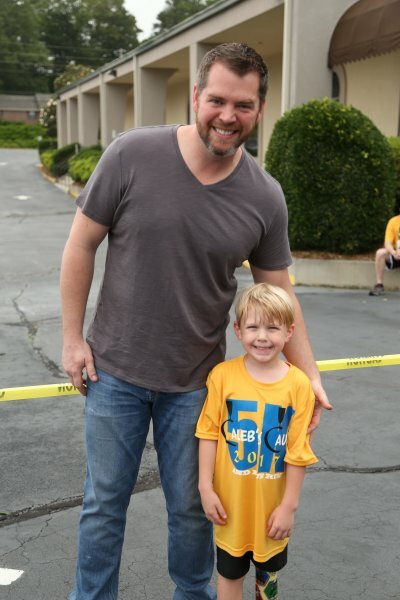 2015 WALB News 10 interview promoting Caleb's Cause, and bringing awareness to amputees. 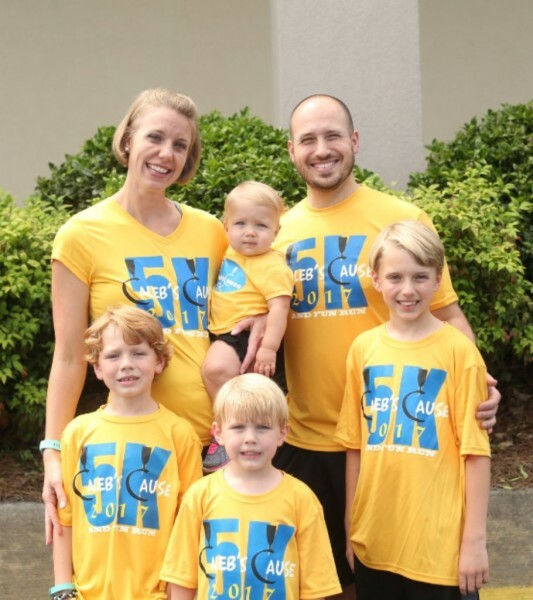 Promotional video for the 2015 Caleb's Cause 5K & Fun Run. "Come to Caleb's Cause!" Cap says, "I want YOU to come to Caleb's Cause!" 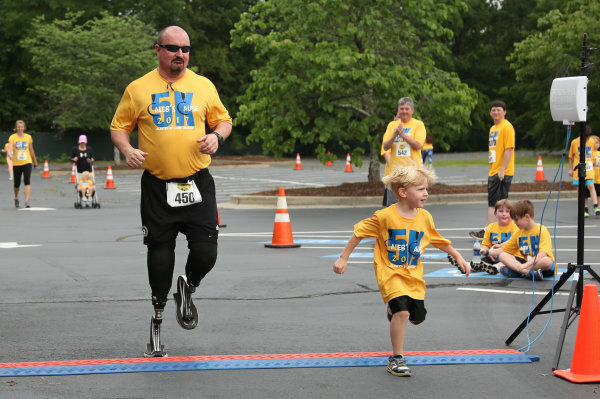 Join us on May 11th in Snellville, GA for Caleb's Cause Superhero 5K & Fun Run. There will be LIVE music, FREE food and inflatables for the kids. Top prize awards for Fun Run, 5K and Masters and age group awards in the 5K. Below is a list of important dates and news regarding Caleb's Cause. Sign up by April 19 to receive the early registration price and guarantee yourself a t-shirt. The price will increase by $5 after 4/19. It's Race Day! Don't forget to get there early, so you can find a parking spot and get to the starting line on time. There will be a race day registration and packet pick-up starting at 7:00 a.m. Also, make sure to get lots of sleep and drink lots of water!